WHAT ARE ALL THOSE YELLOW FLOWERS? As summer is at its peak with flowers blooming, I wonder what it is I am looking at while walking by. 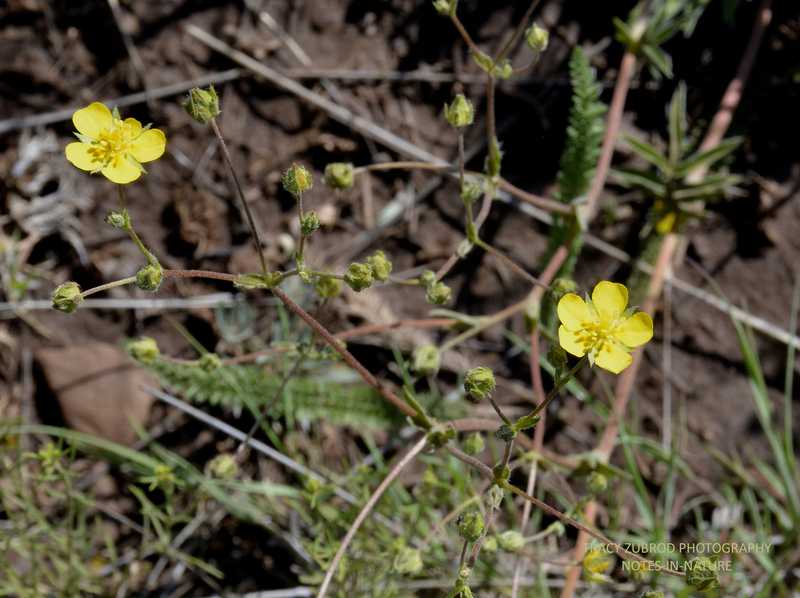 Here are some of just the yellow flowers I have observed, found in a high elevation area in northern Arizona. Many of these are common throughout North America, but they may be called something else in other places. Also, some of these “flowers” are considered weeds, but you can still think they are pretty if you want to. 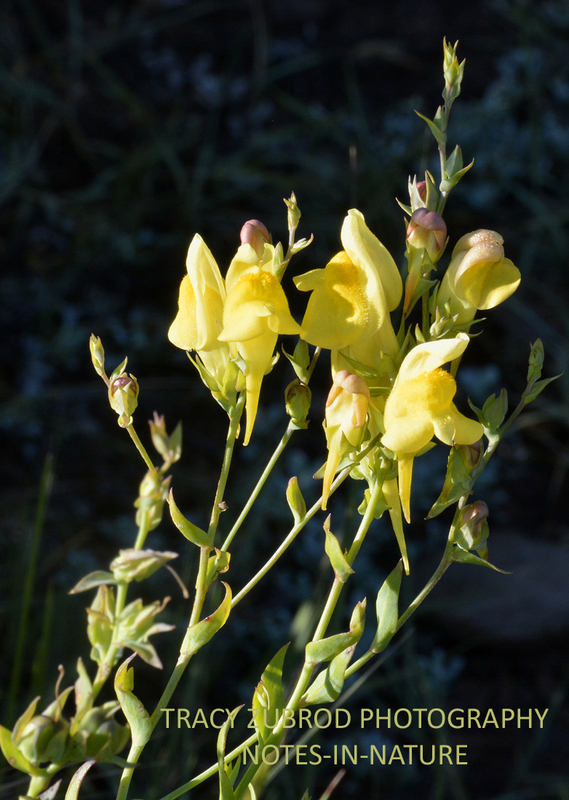 Butter and eggs is native to Europe, they are also called yellow toadflax or common toadflax. They are found in areas such as fields, ditches, pastures, or roadsides. They were probably brought over because they were considered pretty, but are considered a weed because they are difficult to control once the creeping root system is established. Columbine is the common name of Aguilega. There are 60-70 species of perennial plants that are found in meadows, woodlands, and at higher altitudes throughout the Northern Hemisphere. They are known for their spurred petals. 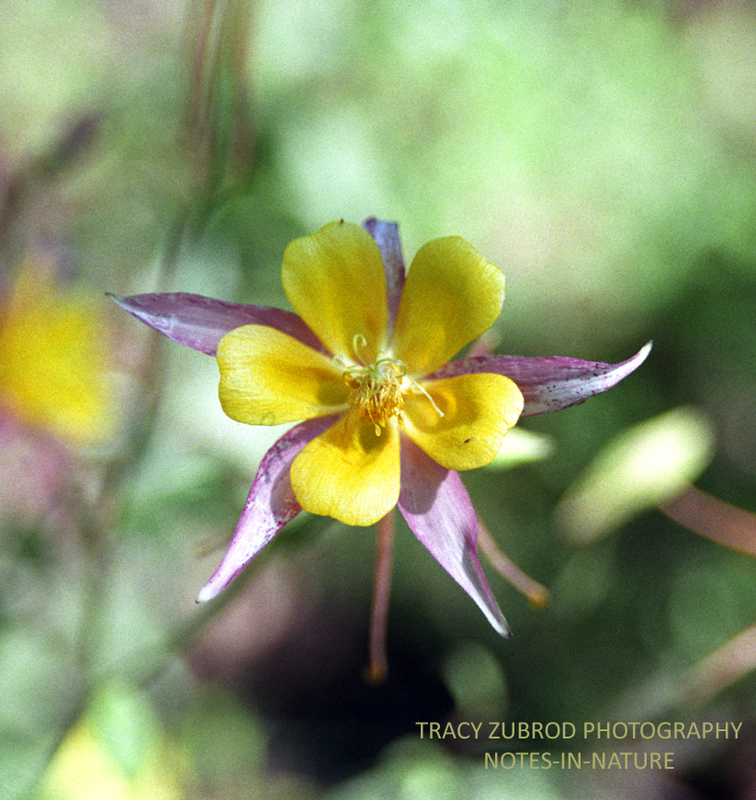 This yellow is considered a yellow-pink variant columbine. 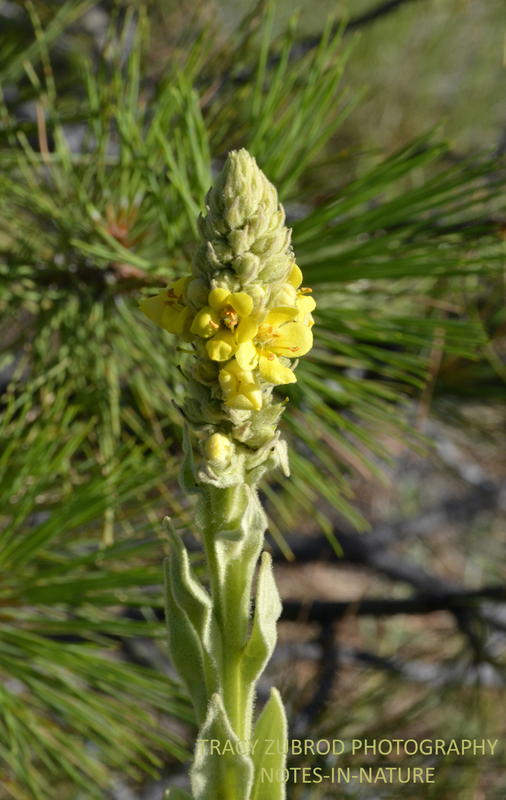 Common mullein is native to Europe, northern Africa, and Asia. It was introduced in the Americas and Australia. It is a hairy biennial plant that can grow to 2 meters tall or more. 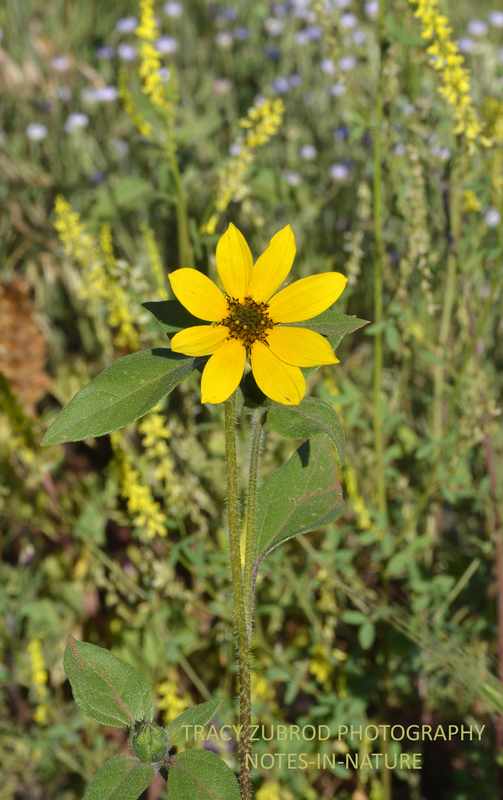 Common sunflowers are North American natives. They are also known as roadside or prairie sunflowers. They are the most widely distributed species of sunflower. They are a smaller, wild version of the giant sunflower you see in gardens. Sticky cinquefoil is native to western Canada and the western United States. This is widespread and found in many types of habitats. Tansy ragwort is also known as common tansy. This is an invasive toxic weed that is native to Europe. 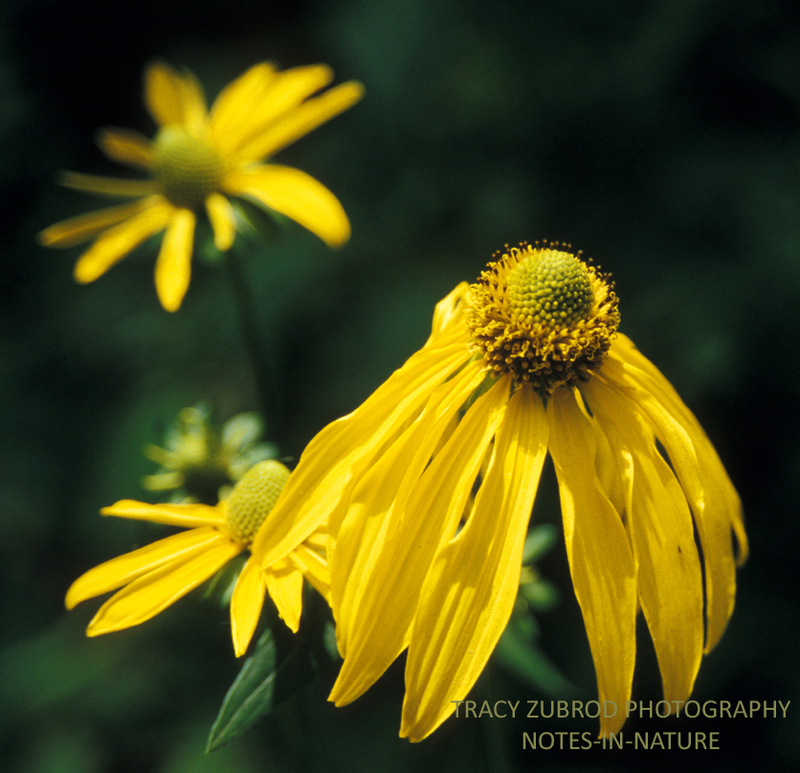 Yellow coneflowers are native to North America, they are also known as cutleaved coneflower or green-headed coneflower. 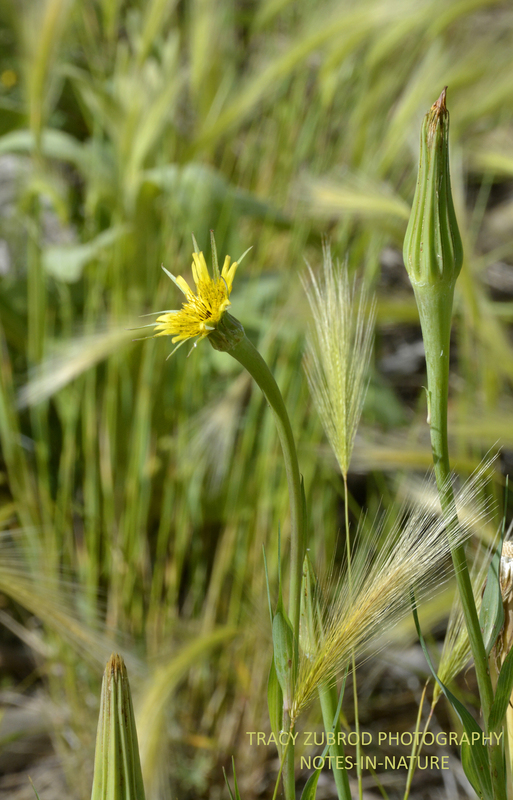 Yellow salisfy is native to Europe and eastern Asia, they are also known as goatsbeard. The plant forms a head of seeds, like a dandelion. 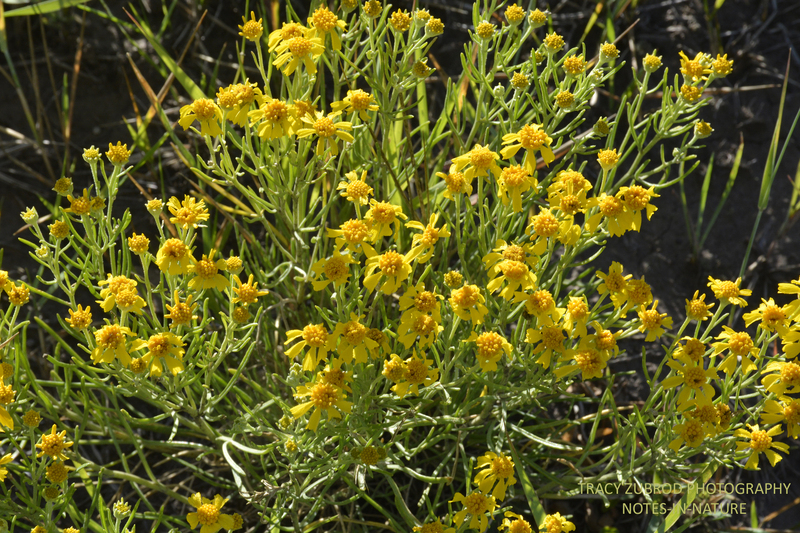 I have never read about tansy’s before, I just looked it up…yikes! I just can’t think a weed is pretty:) You’d be proud, today, I let Spencer blow a salisfy seed ball for the first time…maybe the only time. That is awesome you let him do that, I remember doing that as a kid with dandelions.